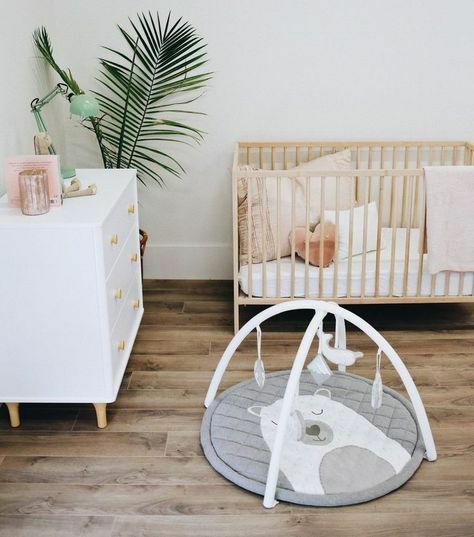 Creating your baby's room is such a signifiant step! I've noticed that trough the years, baby's rooms trends have evolved quite a bit. We see them being decorated with as much thoughts and style than the other rooms in the home. Also, they've taken quite a more mature look and a less childish one. We plan them to be cozy, functionals and scalable. Creating your baby's room is such a signifiant step! Personally, my daughter's room was all planned out even before I told my close relatives about the pregnancy ! I just couldn't wait to create it all. I've noticed that trough the years, baby's rooms trends have evolved quite a bit. We see them being decorated with as much thoughts and style than the other rooms in the home. Also, they've taken quite a more mature look and a less childish one. We plan them to be cozy, functionals and scalable. So here are 5 musts for a successful and timeless nursery. White, grey, beige, and taupe are all neutral colors that goes well trough trends and time. You can build around these colors to then add more colors that will match your and your baby's personality. We're talking about cozy textures here ! Things like macrame, which has made a big comeback, will add a soft and calming effect to the room. Then layer on textures like wool, fake furs and linen to create an interesting ensemble. We favor natural materials like wood, straw and wicker that will all add a simplistic vibe but also contrast well with kid's toys which tends to be plastic made and colorful. Plus, they are healthier for your little baby. For the walls, got at it sparingly : a big mirror, a nice painting, shelves for books and toys or even a little bit of greenery ! And, don't forget to leave some space to add significant objects and memories for when baby is finally here. Pour ajouter de la couleur et garder le tout très léger, allez-y en douceur avec des accessoires de couleurs pastel, tels que les lampes, tapis ou coussins! Passionate about decoration, DIY projects, beautiful objects and furniture restoration. One of her favorite hobbies is going on a treasure hunt by searching the flea markets, garage sales and flea markets.